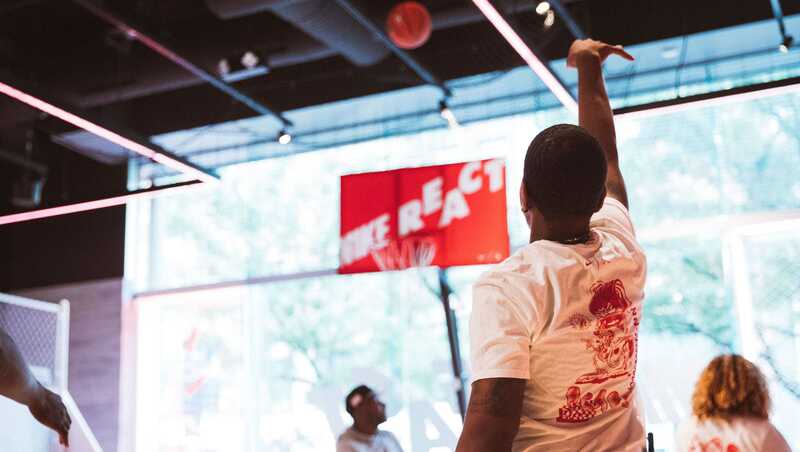 In a rare merger of Jordan and Nike Basketball, the two iconic brands came together at House of Hoops Harlem to launch Nike’s new React cushioning technology. We partnered with Nike to develop and direct the entire React launch, starting with concept exploration and the consumer journey. In the battle for supremacy in sneaker cushioning, there can be only one. Nike developed their React foam technology to build the softest, bounciest outsole ever. 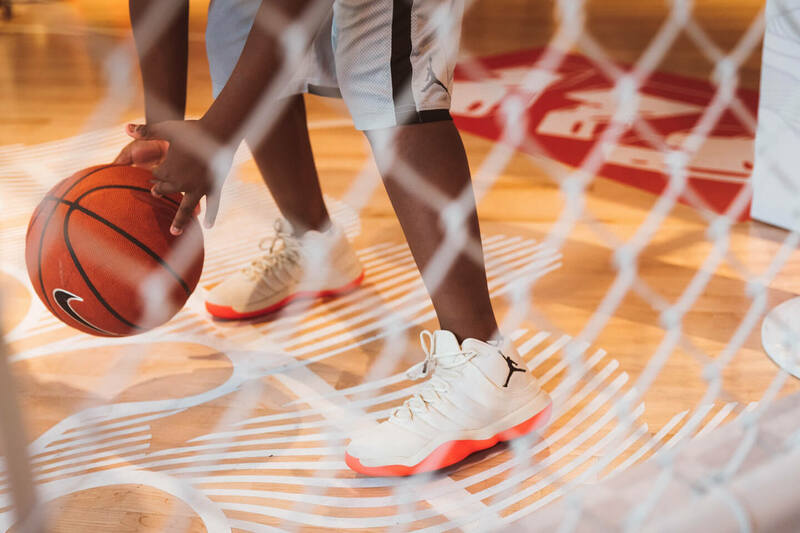 To introduce consumers to this breakthrough, Nike designers brought it to bear in two premium basketball products: the Jordan Super.Fly and the Nike Hyperdunk. 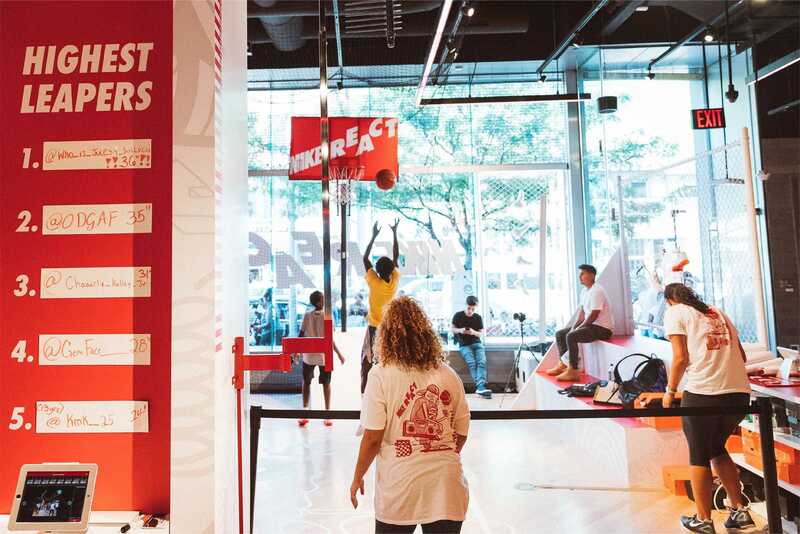 We created an activation at House of Hoops Harlem that gave consumers a first-hand introduction to Nike React through on-site performance trialling. 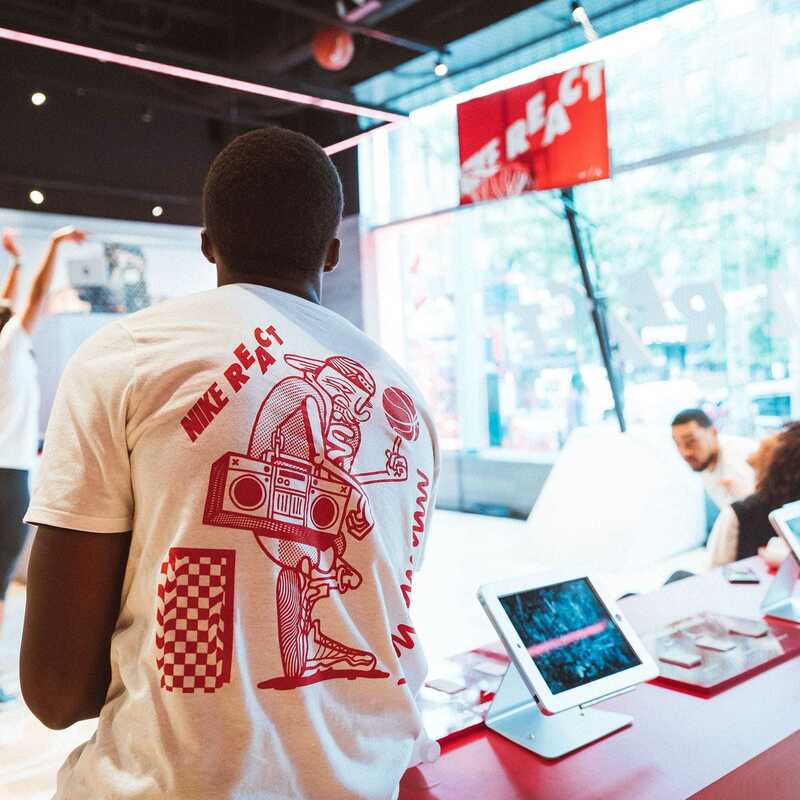 Centered around the final weekend of the legendary Rucker Park Tournament, we drove traffic to retail with music, art, disruptive space planning and exclusive giveaways. To expand the radius of the energy created in Harlem, we captured dynamic content of the trialling drills and pushed it back to consumers phones. 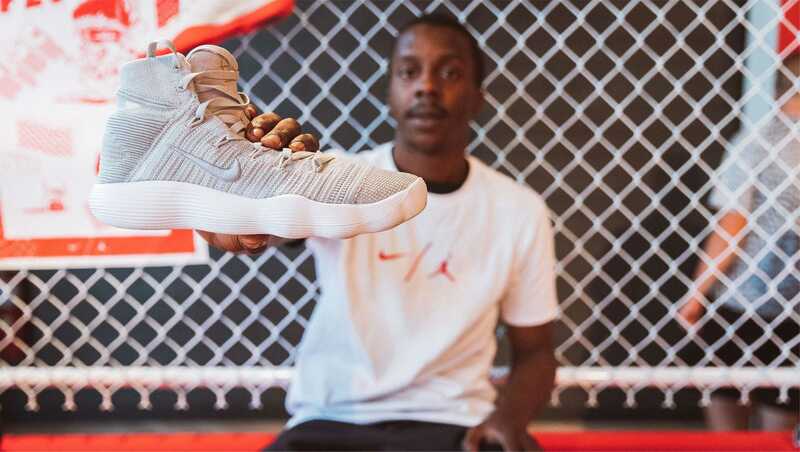 The flood of content shared on consumer social feeds signaled the arrival of Nike React to the world. 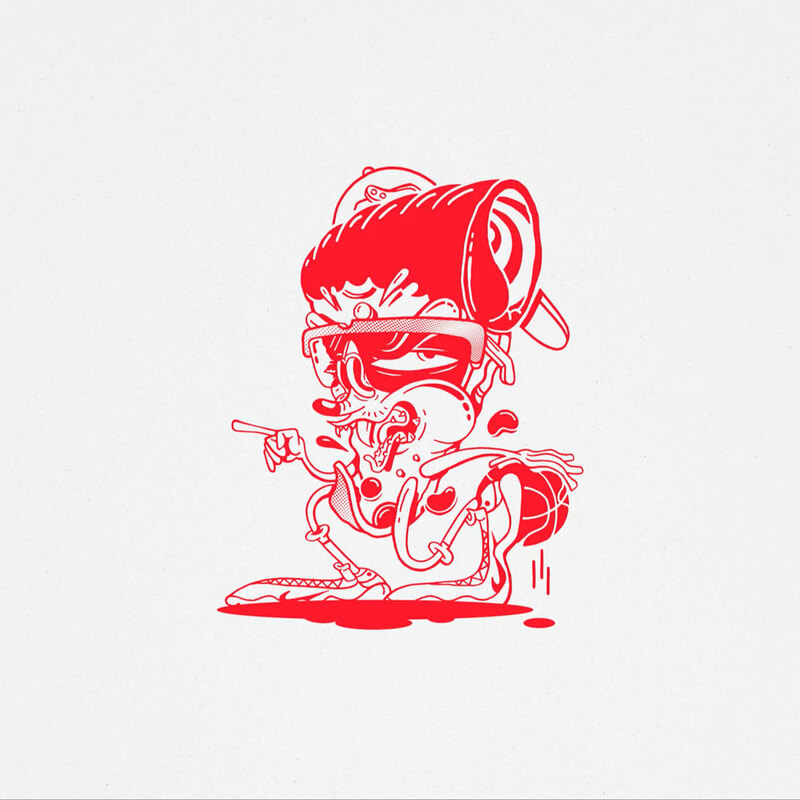 To add a layer of artful, local texture to the space, we selected the visual art duo Yok and Sheryo to create a series of playful one-color illustrations. Developed under our direction, the illustrations captured the Harlem vibe, sprinkled with basketball symbolism. We wanted to give consumers the opportunity to not just try on new product, but to actually feel the performance benefits through an interactive trialling experience. 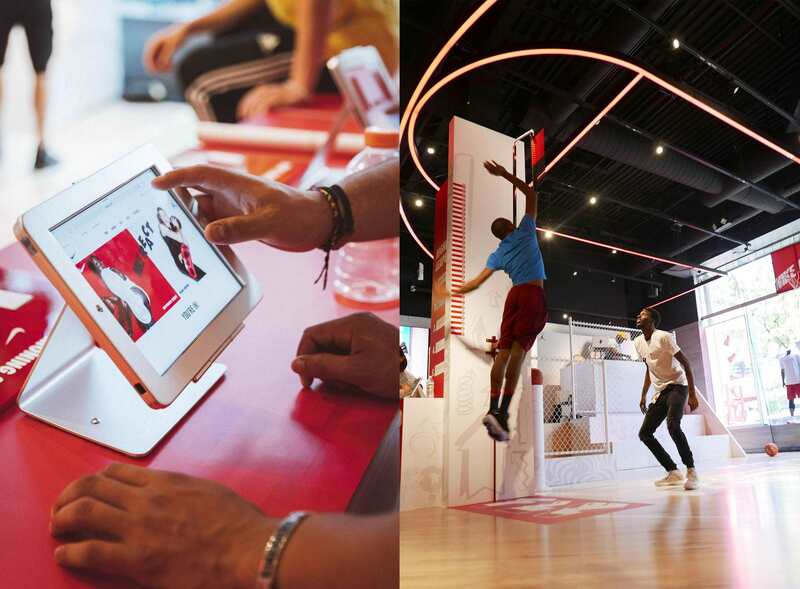 A touch screen guided kids through a digital orientation and sign-in, before they participated in a sequence of three basketball-specific drills designed to showcase the upgraded cushioning capabilities of Nike React.